Get Supply2Gov working for you from day one! 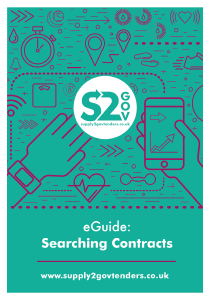 Once registered, you need to make sure your profile is exactly right for your needs and you know how to use Supply2Gov’s powerful search functions. 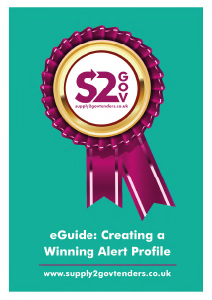 Don’t worry, getting to grips with Supply2Gov doesn’t take long and these handy step by step guides will get you up and running as well as give you some useful tips and info to help you win. Our webinars bring you breaking industry news, demonstrate how to get the most out of Supply2Gov and let you put your own questions to our experts. Keep in the know with up to the minute news and market developments affecting your business. 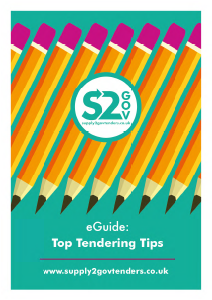 Whether you’re new to public procurement or just want to improve your chances of tendering success, Supply2Gov’s training partner PASS (Procurement Advice and Support Service) can help your business. 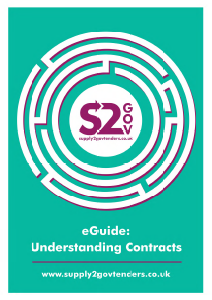 Our training and consultancy is designed to give you an understanding of the practical issues surrounding tendering, allowing you to take advantage of the vast range of opportunities available to your business. All of our training events are Certified for CPD purposes as conferring learning benefits – what’s more, if you’re not 100% satisfied that you’ve learned we’ll refund your payment.